Maddie’s Shelter Medicine Program, through generous grants from the ASPCA®, Nestlé Purina PetCare Company, and PetPoint Solutions, is proud to announce a tuition reimbursement scholarship for students and veterinary professionals pursuing the Maddie’s Online Graduate Certificate in Shelter Medicine. Scholarship applications are now being accepted for the summer (until May 12th) and fall semesters (until August 25th). 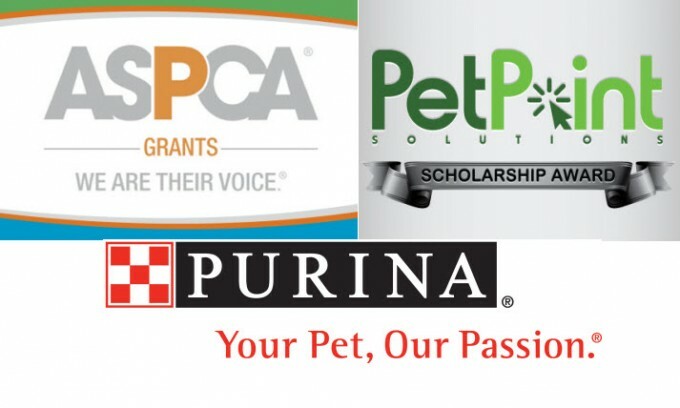 A limited number of competitive, one-course tuition reimbursement scholarships are available thanks to generous support from the ASPCA®, Nestlé Purina PetCare Company, and PetPoint Solutions. With this valuable opportunity, veterinary students and professionals will be able to pursue comprehensive online graduate training in shelter medicine through the University of Florida. Qualified students enrolled in the Maddie’s Online Graduate Certificate in Shelter Medicine can receive help with educational costs through a tuition reimbursement scholarship. Students may be eligible for reimbursement (valued at $1,575) after successfully completing at least one course as part of the Online Graduate Certificate. Learn more about tuition reimbursement scholarships and how to apply. Students can use this valuable scholarship opportunity to take a course in the Maddie’s Online Graduate Certificate in Shelter Medicine this summer or fall. Scholarship applications for summer are being accepted until May 12th, and for fall until August 25th. Registration for our summer online graduate course, Integrating Veterinary Medicine with Shelter Systems, is currently open. This 3-credit course is designed to help students understand and appreciate the critical role played by veterinarians in protecting the health and welfare of sheltered dogs and cats. In April 2014, Integrating Veterinary Medicine in Shelter Systems received a University of Florida “Online Education Excellence” award for online graduate courses. Shelter Animal Physical Health, our online course available this fall, will help students evaluate and modify protocols to enhance the physical health and well-being of sheltered dogs and cats as well as recognize and respond to common threats to physical health. Click here to apply for the Online Certificate in Shelter Medicine.